The Las Vegas Golden Knights are the story of the year in the NHL and it seems that fans can’t get enough. Every game every goal; there has been a story. This has been a fun ride and it would be a tremendous letdown to not see this series go the distance. 2-1 is not the end of the world but 3-1, is pretty much the end of the entire universe in any finals series. The Knights are up against it and they need this victory. They must win this game or this has simply been a fun run. The Knights have been relentless all year long and when their backs were on the wall, they found a way. Can they do it one more time and take this series back to Las Vegas in a 2-2 tie? What the Knights have done has not only been unprecedented it has been a gut check for other NHL teams such as the LA Kings or the New York Rangers. This team has heart and if anybody can dig deep and find a way to win, it will be the Golden Knights. The Knights are on the brink and facing the biggest game of their short lived franchise history. Check the lines closely as they are somewhat different across the board for this one. Some of the bookies have set this one at Washington -130, -120, -125 and even -135. Be sure to get the best bang for your buck on this game. This series will go at least one more game back in Las Vegas on Thursday so with that in mind, and (hoping for at least six games and even seven) we want to give you a couple of friendly tips for betting the remaining games of the 2018, Stanley Cup Finals. Betting periods is a must in any nhl playoff game. This is a way to win and get a much better line in the process. Most of the bookies offer first period betting, now this is great but it’s not enough. The way that most bookmakers work is you have an option to bet the entire period before the game starts, just as in the NFL. This works to a point, but what if you are not looking good, deep? You need a backup plan, Make sure your sportsbook offers live lines. Betting the live line can often present a middle and a way for you to break even. 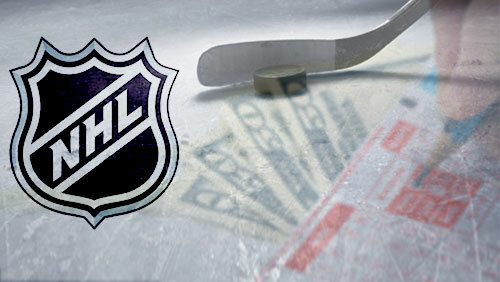 Some bookies offer a second period and most online sportsbooks do not offer a third period. Find a great bookie service that does. Make sure to do your homework on this one. You most definitely want to bet all three period and have the opportunity to bet live on those periods. The trick to all of this is having more than one online bookie. You should have at least three and maybe even for or five. It doesn’t matter that it’s late in the season, find a book that offer all of the great sports leagues that you are interested in betting and find one with a great reputation. Sign up now and you still be able to get a great bonus and by all means take the bonus. There is nothing better than playing with free money to beat the people that gave you the free money. It’s like having a best friend that owns a sports book and asking him for $100 in wagering credit. He just gave you $100 so that he can pay back the $100 plus another $90 when you win the bet? Have fun and enjoy the rest of Stanley Cup Finals.